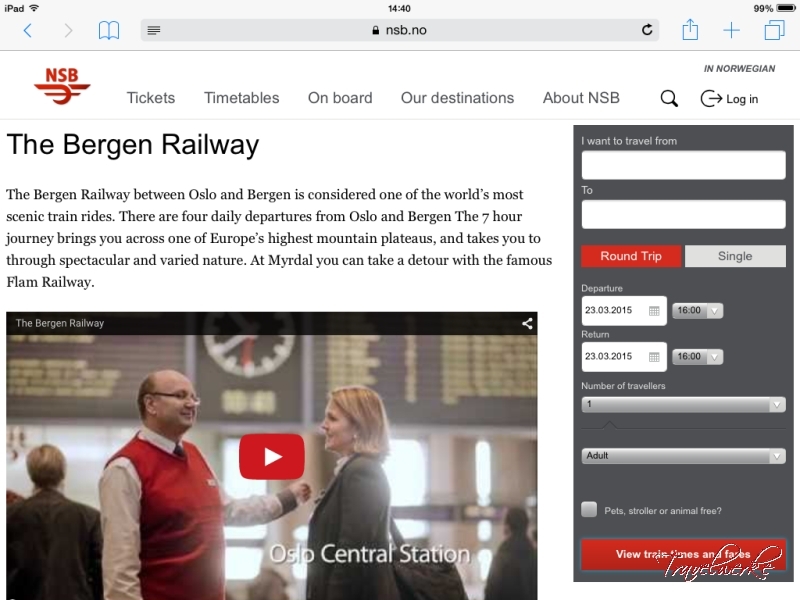 Regarded as one of the most beautiful rail journeys in the world, Norges Statsbaner’s (NSB) Bergensbanen connects Oslo with Bergen in 7 hours through pristine fjords, desolate mountains and the snow-covered Hardangervidda plateau. Altitude, weather and challenging terrain made this one of the most ambitious and difficult engineering projects in the late 19th century, adding to the line’s appeal with tourists and locals alike. 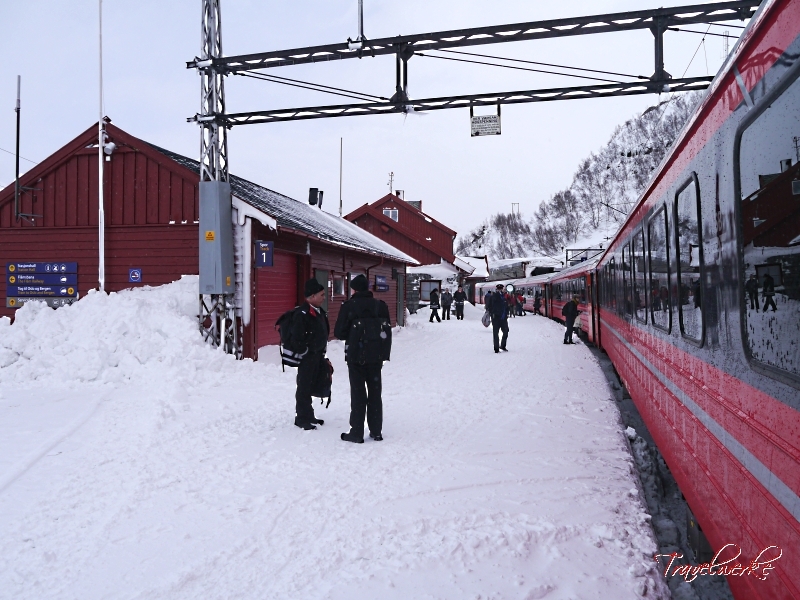 We joined the morning westbound departure from the Norwegian capital on Europe’s highest mainline railway. 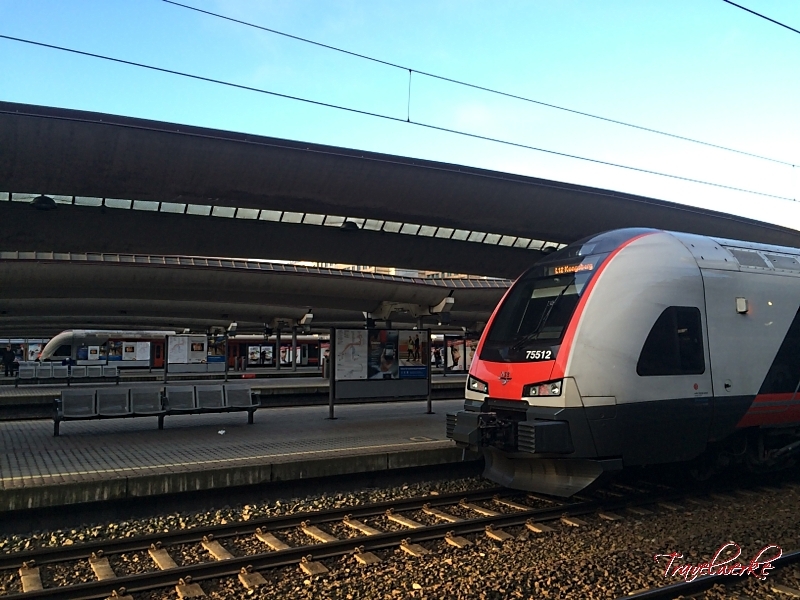 NSB services on the Bergensbanen are operated with a electric locomotive hauling 7 modern carriages, comprising Standard and Komfort seating as well as a dining car. 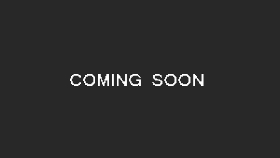 We were booked on a Standard ticket, giving us a comfortable seat similar to the Economy Class offering on an airliner and arranged 2-2 across. As a bonus, our seat was part of a set of 4 facing each other, giving us greater legroom and a fixed table. 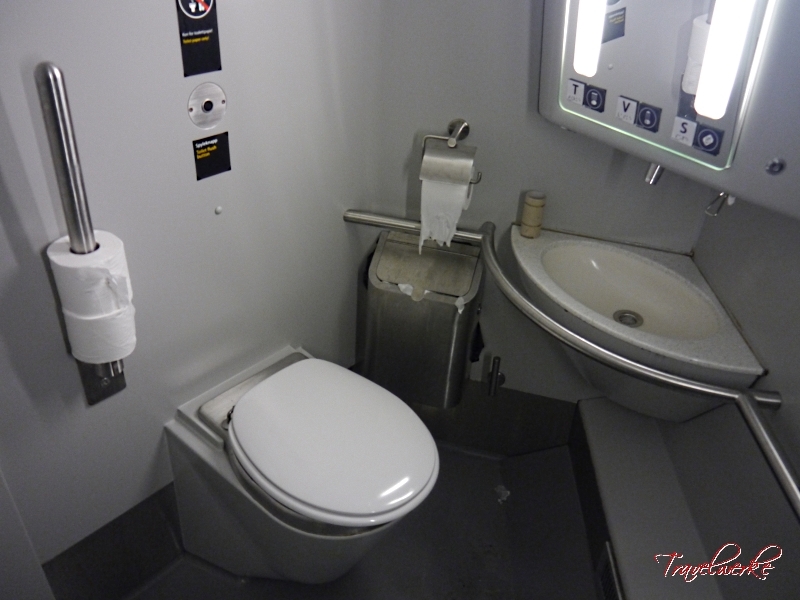 Within each passenger carriage was an enclosed lavatory, which was spacious and relatively clean throughout the journey. 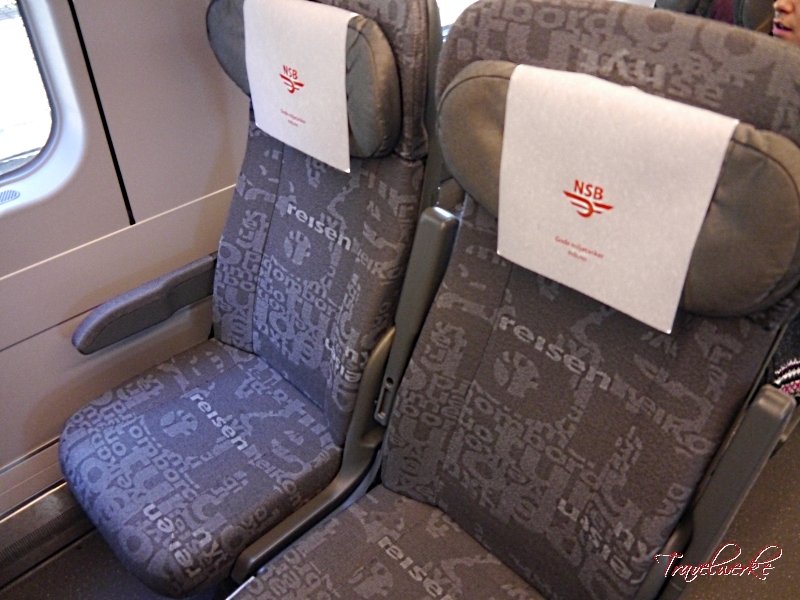 In-train entertainment was largely from the laptops and tablets from each passenger. We found the complimentary Wi-Fi to be especially useful, although the connection became slightly unstable as the train climbed up the mountains towards the highest point on the line. Each seat also comes with its own power outlet, which passengers utilized to keep their personal electronic devices charged up. 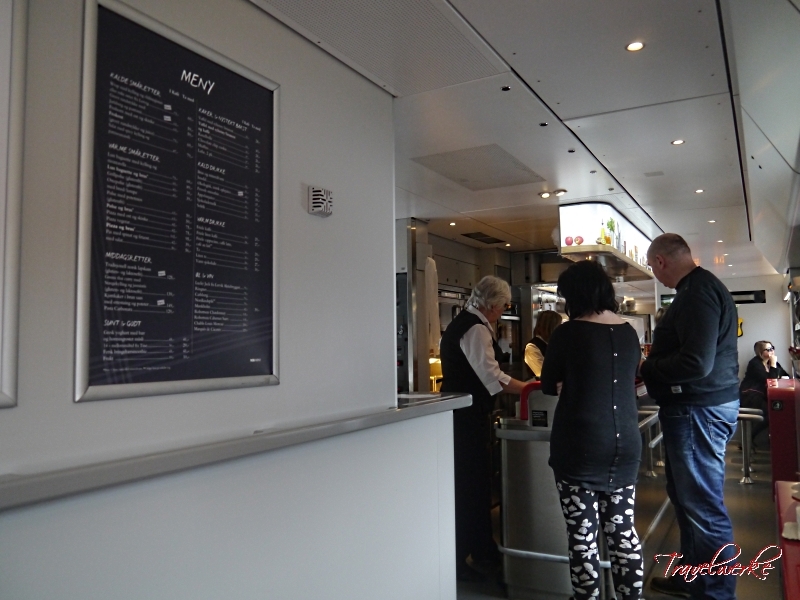 Being a long-distance regional train, the dining car offers meals and beverages for purchase. These were priced at a slight premium to similar offerings at the train station convenience stores, but still saw reasonable sales throughout the journey. 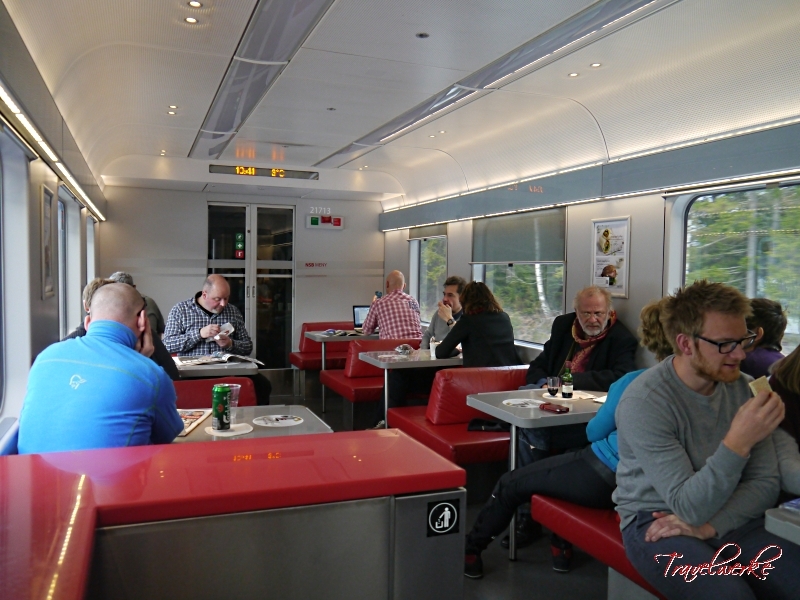 The stylish set-up and large panoramic windows of the dining car made it a popular gathering space for passengers. 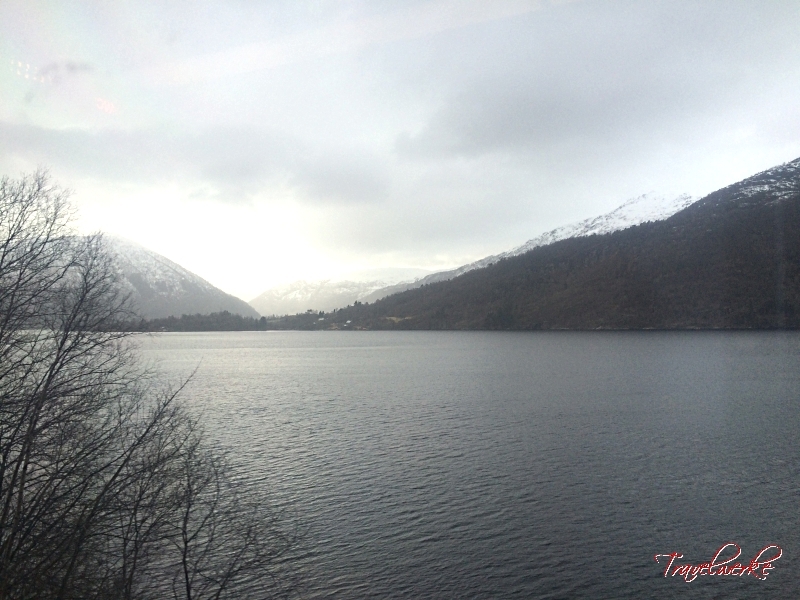 Like any other great rail journey, the scenery along the line forms the main attraction for passengers. 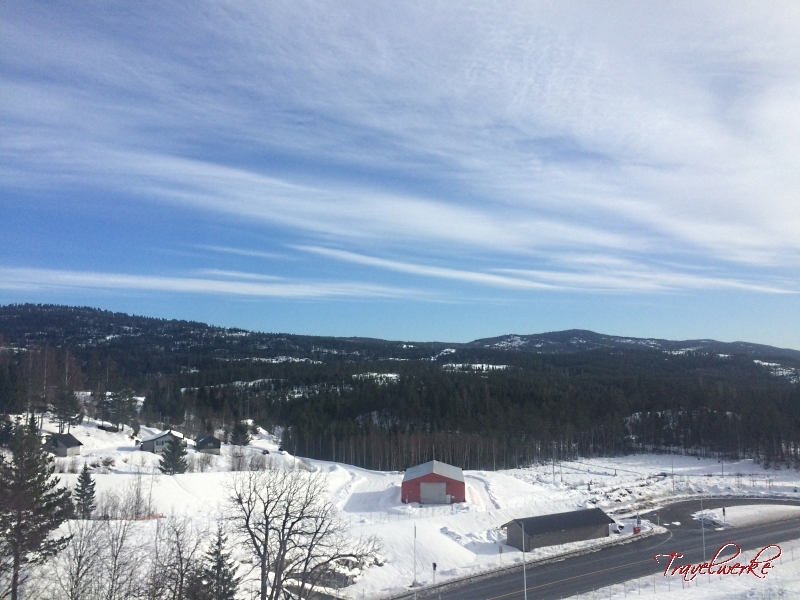 The Bergensbanen is a key component of the “Norway in a Nutshell” tour route and it is easy to see why over the course of the 482 kilometers covered. 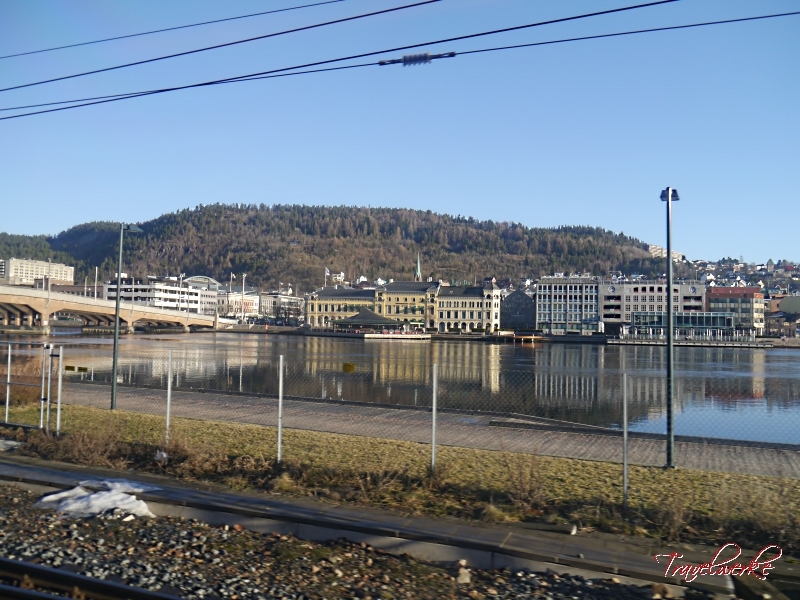 Departing Oslo S (Oslo Sentralstasjon) into a long tunnel under the city, the train follows the commuter line to Drammen affording views of the Dramsfjord and its islands. 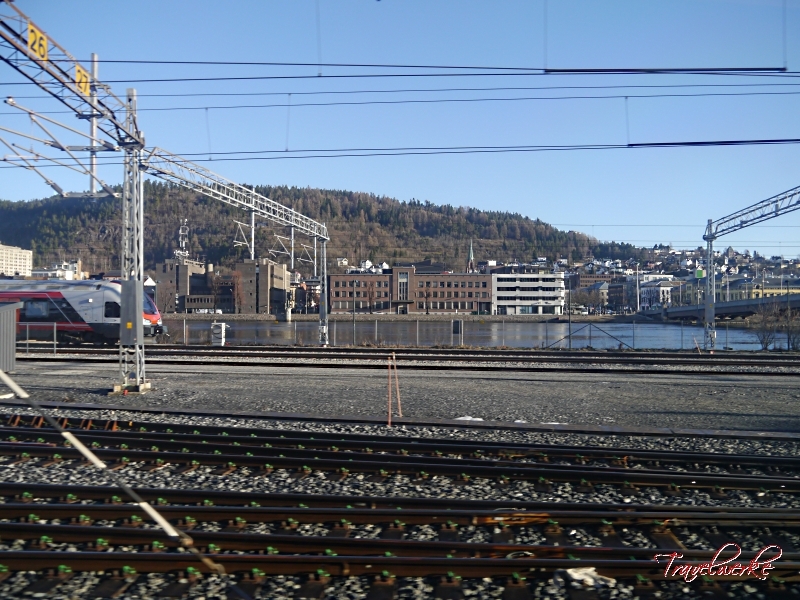 Skirting the large lake of Tyrifjorden, it arrives at the junction of Hønefoss and the start of the Bergensbanen. The urbanscape soon gives way to farmland and sporadic signs of human habitation among the hills as we climb higher into the mountains. 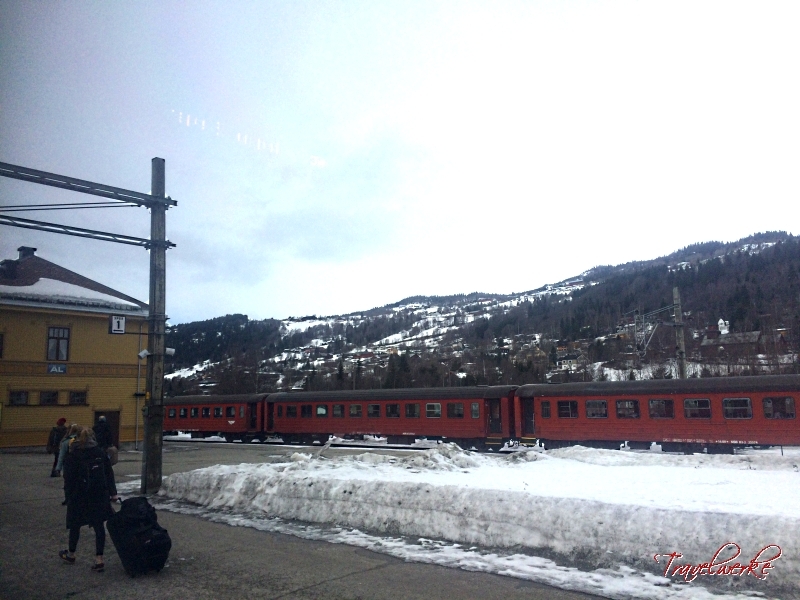 Emerging from a tunnel above Lake Krøderen, the train passes Flå hugging the bank of the forested Hallingdalselva River and through the beautiful Hallingdal Valley towards the ski towns of Gol and Geilo, which boasts 39 downhill slopes and over 550 kilometers of cross-country trails. 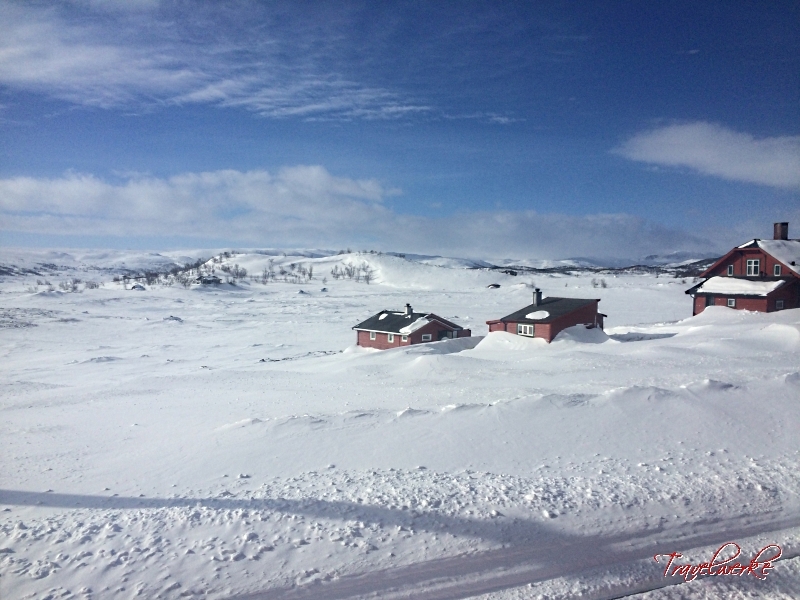 Blessed with many months of snow, skiers and their gear travel on the trains to the many holiday cabins and lodges that dot the hills. 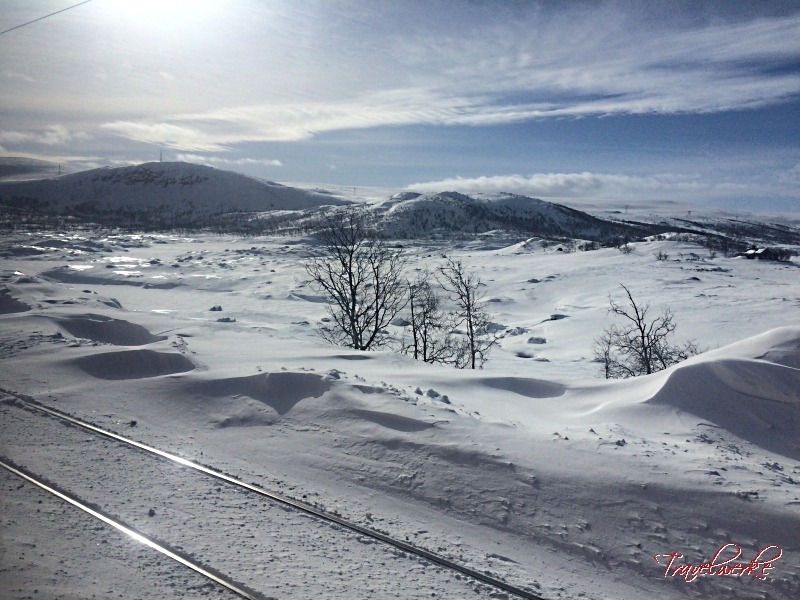 Our train continues to climb, leaving the last trees behind as it burrows through snowsheds (vital to keep the line open year-round) enroute to the north shore of Lake Ustevatn, which can be frozen for three quarters of the year. 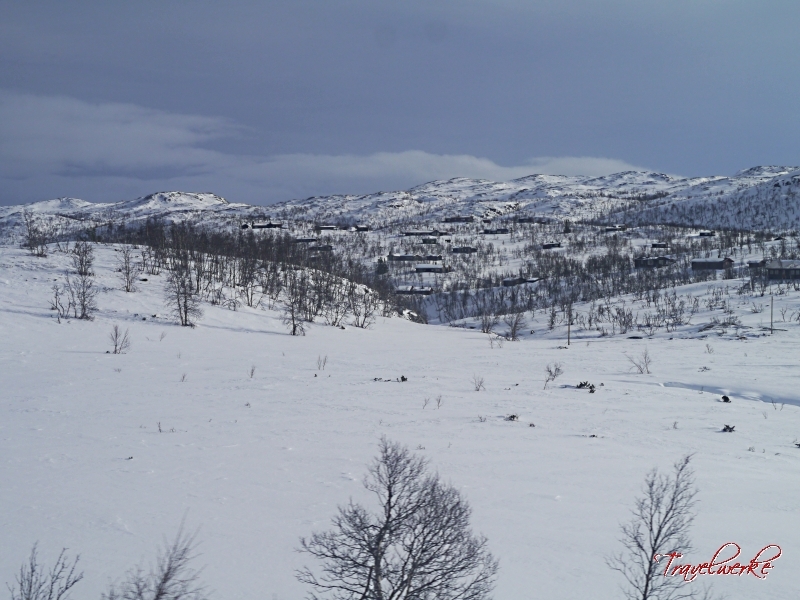 Following a short stop at the handsome wooden Haugastøl station, the train enters the desolate Hardengervidda plateau. 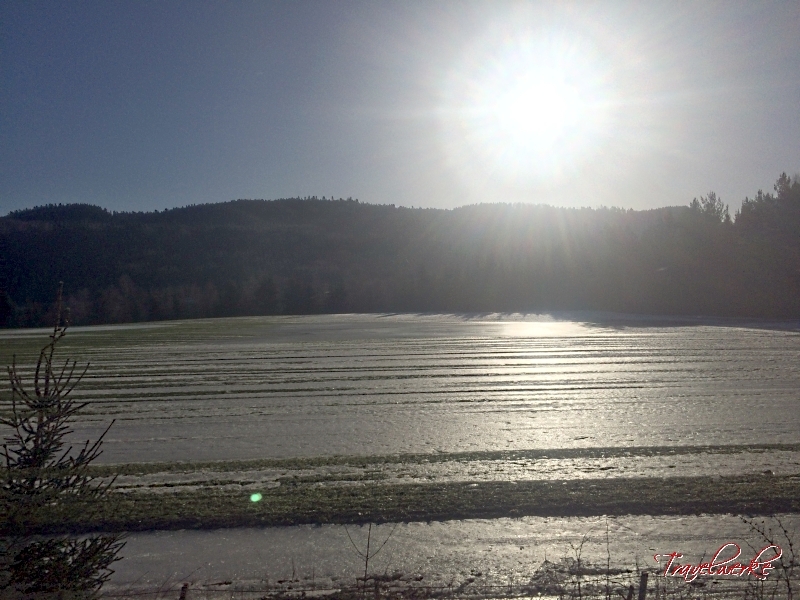 The straight course of the track allows for a burst of speed that stirs up the snow against the bright midday sunshine. 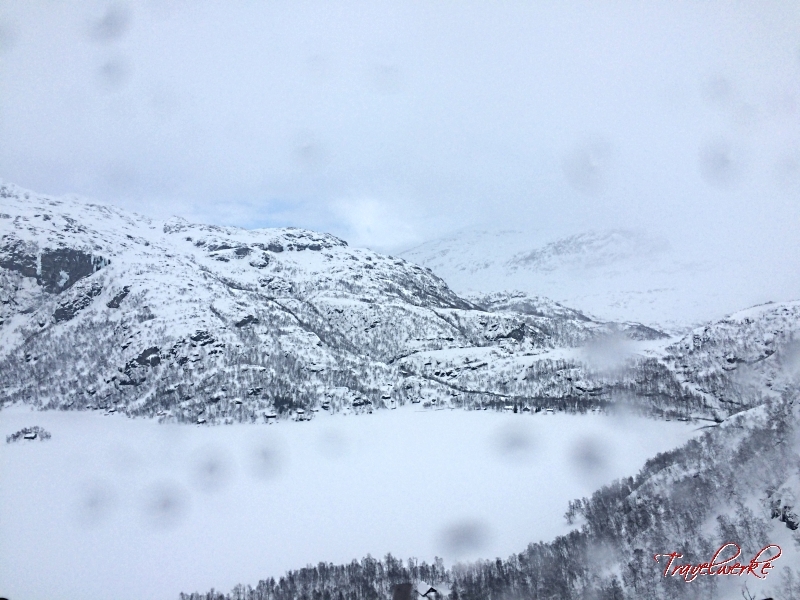 Looking out, we are awed not only by the majestic natural scenery, but by the sheer bleakness of the environment. 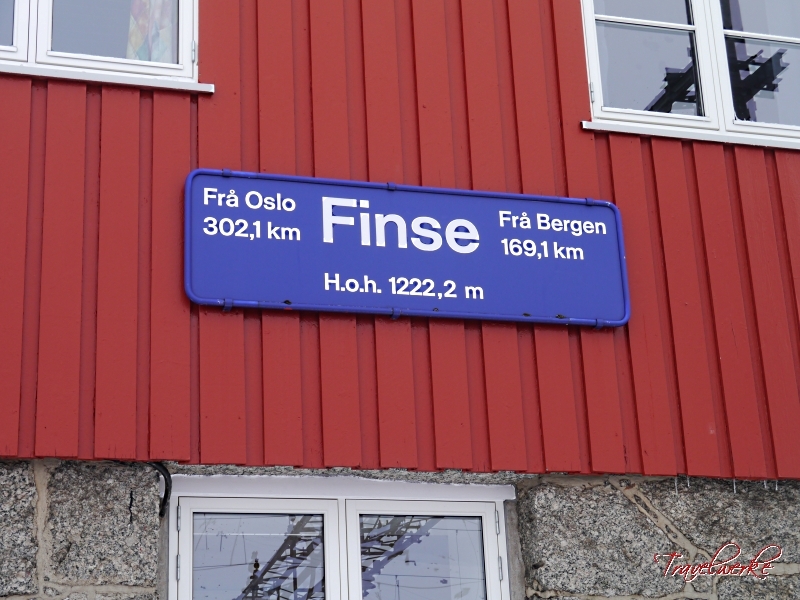 We soon arrive at Finse, the highest station in Europe at 1,222.2 meters above mean sea level. 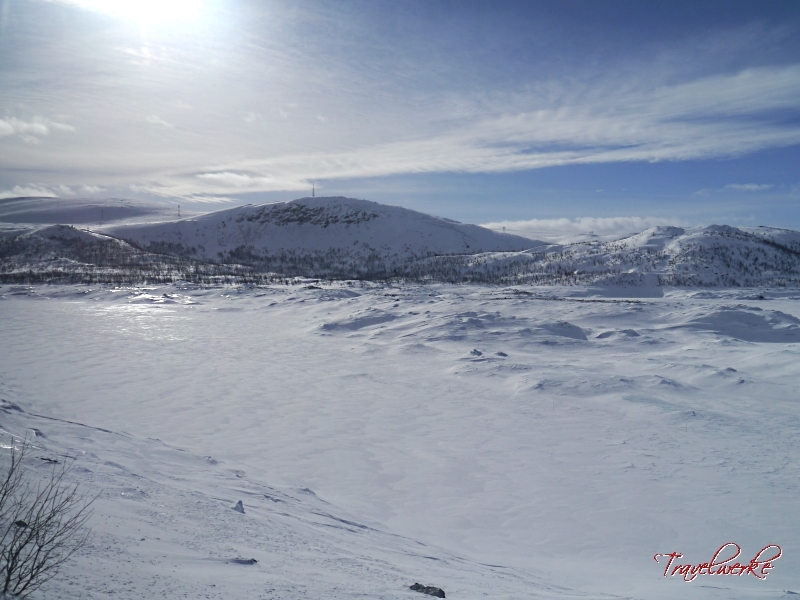 The railway is a lifeline for the town (which has no road connection to the outside) and it is this remoteness that attracted the men of Scott’s fateful 1912 arctic expedition to train here and George Lucas to select it in 1979 as the location for ice planet Hoth in Star Wars. 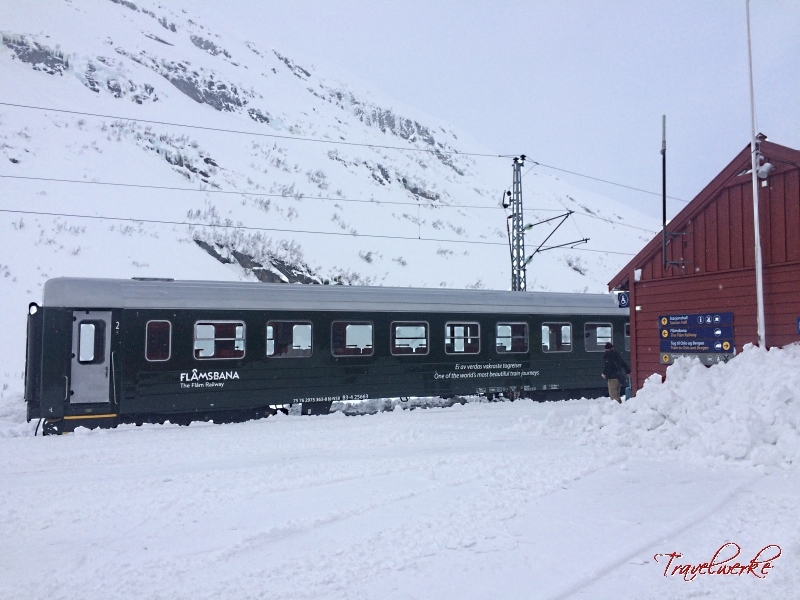 Heading downhill, the junction station of Myrdal is soon reached. 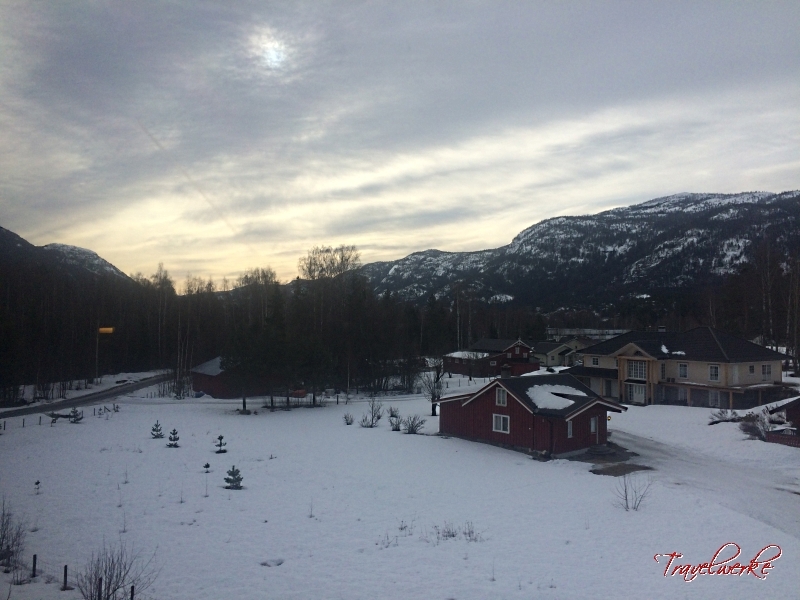 Glimpses of the Flåmsdal and Sognefjord provide a teaser for those breaking the journey to to descend to Flåm, while the rest of us continue on our steep descent towards the treeline. 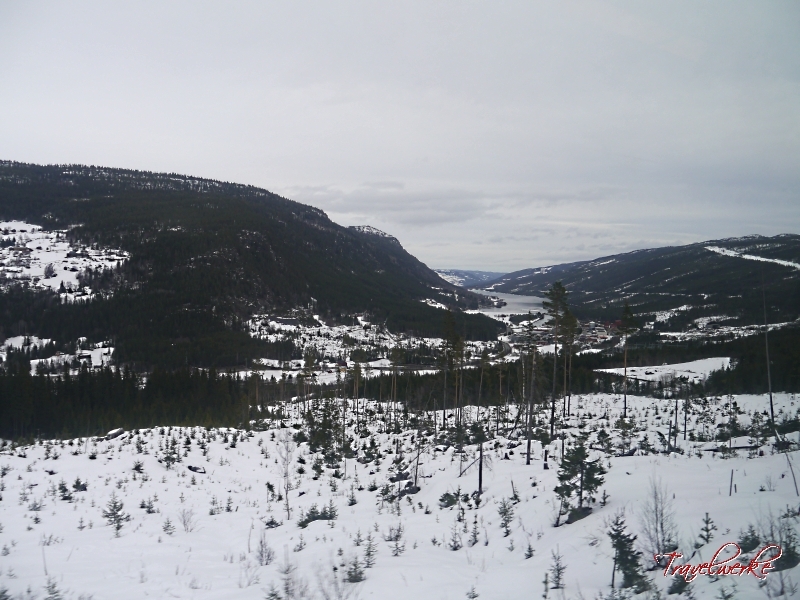 Following the River Raundal as it flows through a spectacular canyon, upland farming country returns to view as we approach Voss, site of the annual Ekstremsportveko. 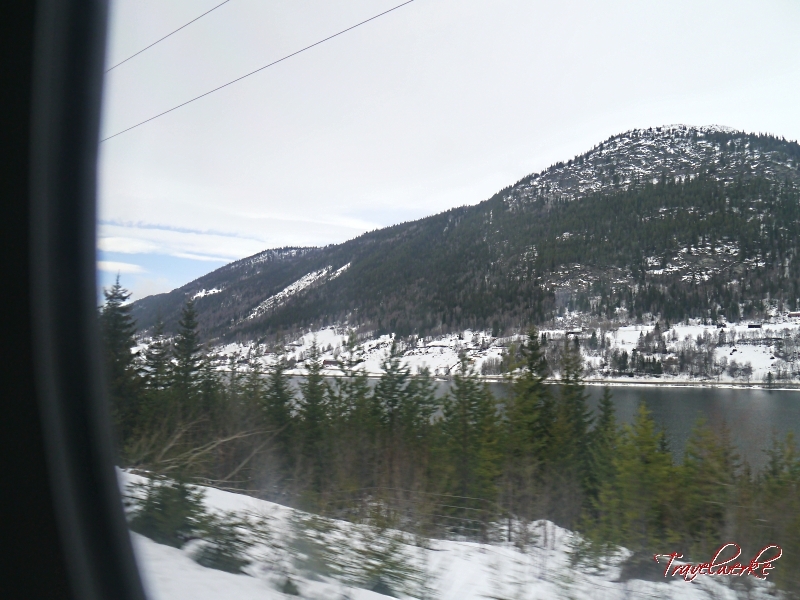 After skirting a lake, the railway climbs alongside the River Vossa and through a long tunnel to Dale station. 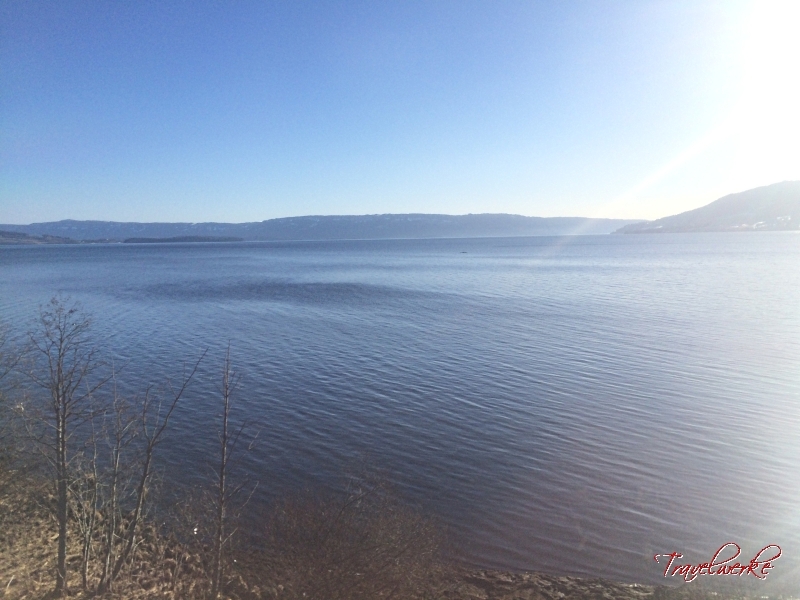 The scenery transitions a final time to reveal a coastal environment dotted by boat houses and birch-sheltered wooden cabins painted in the distinctive dark ox-blood colour, a sign that we will soon arrive at Bergen, Norway’s main port. 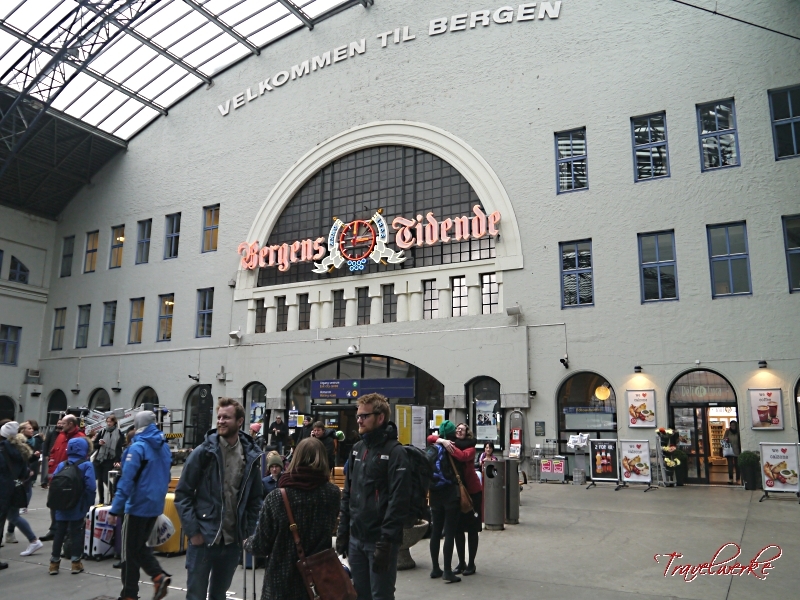 A final sprint through the Ulriken Tunnel marks the end of our journey, terminating under the great train shed roof at fronted by an imposing 1913-built station building in dark stone. 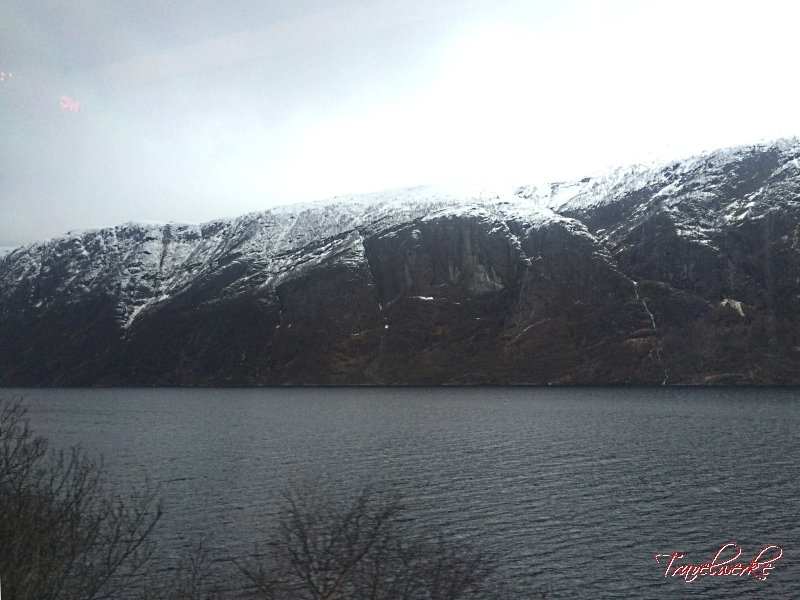 The Bergensbanen should not be missed when travelling between Oslo and Bergen. 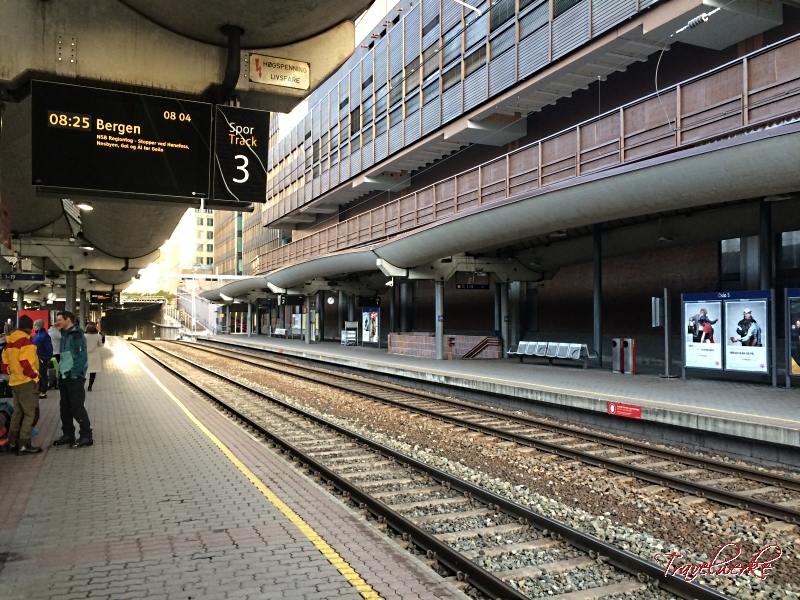 There are faster ways to commute between both cities, but none can offer the scenery and experience of the rail journey. 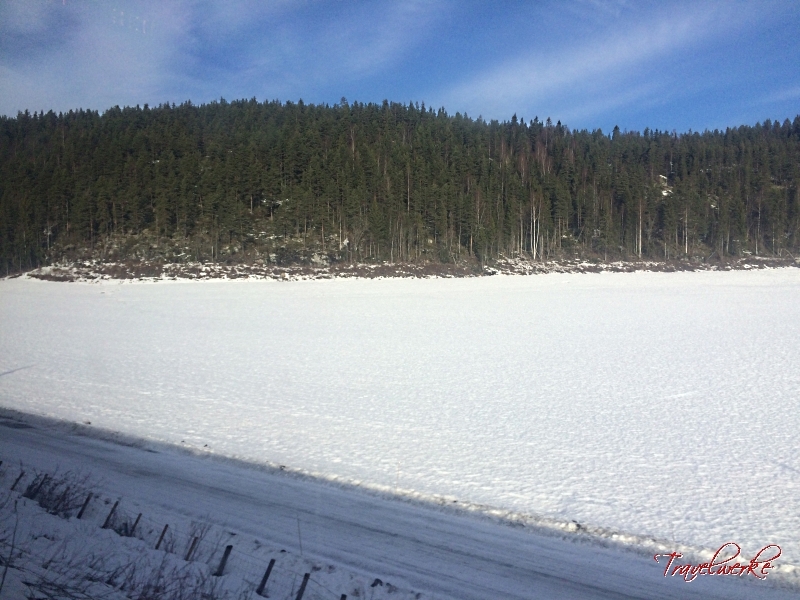 It is no wonder that the line forms the bulk of the “Norway in a Nutshell” tour, as it delivers on that promise to showcase the natural landscape that the country has to offer. 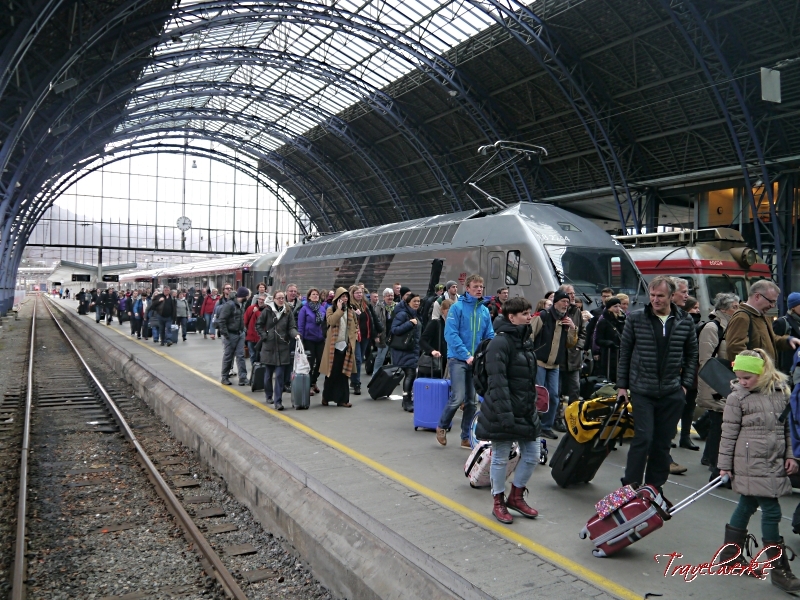 The train also offers the chance to meet and interact with ordinary Norwegians, giving travellers an insight into the culture and lifestyle of the people.